Copywriting is one of the most important parts of a strong digital marketing strategy that converts for your business. Not only does strong copywriting increase your visibility in search engines, but it also persuades your readers to take action and buy from you. Writing great copy for a landing page requires an in-depth knowledge of who your customers are, how they will consume your content, and how to quickly build a relationship with them. While finding this information is difficult, the good news is that there are a number of online marketing tools for small business available to help you without breaking the bank. 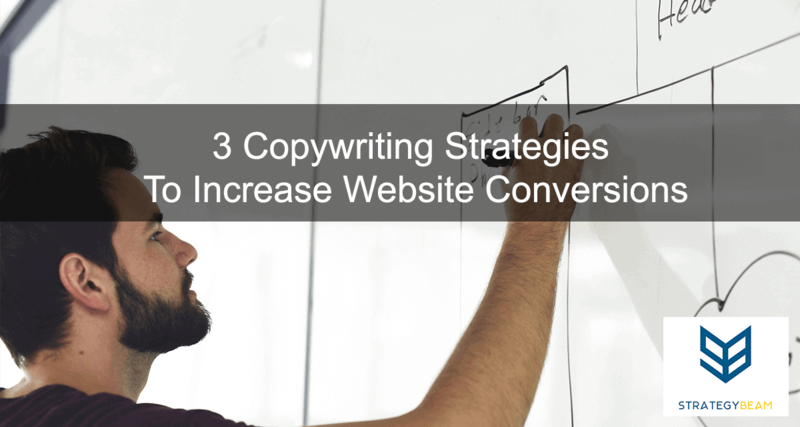 Here are three great copywriting tips to improve your landing page conversions! Instead of writing paragraphs that are 4 or more sentences, consider keeping your articles between 1-3 sentences. Dense paragraphs tend to hide the most important pieces of your copy, and longer sections are harder to read when on mobile devices. Great freelance copywriting services for your business has to read well and be valuable if you want to increase conversions and attract qualified leads. Bold important pieces of your content. Facts, keywords, and benefits are great to bold because they will stand out as your audience reads your site. Break up long sentences into shorter ones. Shorter sentences are easier to scan, and they will improve your time on page metrics for your site. Use bullet points and numbered lists. These tactics allow you to show information in a concise and easy to read format. Remove redundant copy. Short and sweet is the way to go when writing website copy. Use photos and images to strengthen your message. Your audience processes images easier than words, so pictures help you share your thoughts. Along with being easier to consume, images also break up your content to improve scannability. The majority of your audience is likely consuming your content on a mobile device. Since we are in a mobile-first world, your content needs to be created with the unique needs of mobile readers in mind. Make sure you check your copywriting on mobile devices to ensure your content looks and reads well on mobile devices. Using shorter sentences, bullet points, and white space will increase time on page and boost conversions across your site. Create a conversation– the best way to get to know someone is by having a conversation with them. When you use words like “you” and “I” you create a conversational tone with your readers. This approach will soften your user’s position to buy with you. Tell stories– people want to bond with individuals who are open to them. At a party and large gathering people with the best stories tend to have the most people listening to them. The same is true with marketing copy, so use stories to attract and persuade your readers! Relate to your audience– friends buy from friends because they can relate to each other. Don’t talk down to your audience by acting like you know more than them, and don’t think you know better than your customers. Focus on the benefits your company offers your clients and relate with them on their pain points. Growing a relationship with your customers through empathy, storytelling, and conversation will help you build rapport and drive sales through your landing pages. Focus on the needs of your client and let the benefits that your business offers do the talking. Your readers are busy, and they are likely in a hurry when they are looking at your website. A strong headline that stands out and explains your benefits quickly helps your readers understand what your business does for them. The trick to writing small business marketing copy is to make sure you are addressing objections. Your audience will always have concerns about the solutions you provide, so it’s your job to respond their objections before they even ask! If you can find out these objections, then you will be able to write copy that addresses their needs and complaints. Pocket does an excellent job of using benefits in their homepage text. 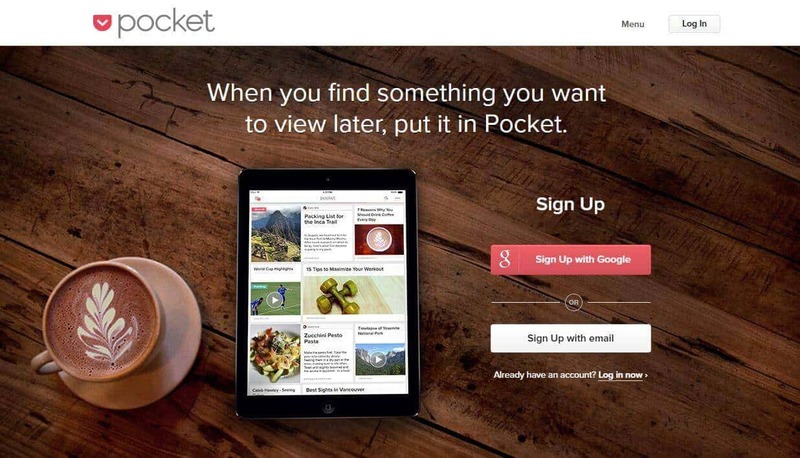 Their readers can identify the problem (not being able to find something they want), and the solution of using Pocket to be able to find what they want quickly. 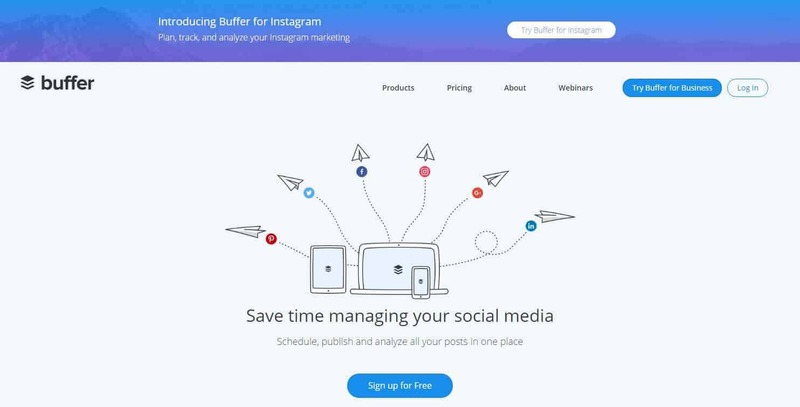 Buffer also uses a strong statement that outlines the benefits of their product right away. Using a CTA button directly under their main statement helps their readers understand the needs they have, the solutions Buffer offers and ease to get started. Concise copy keeps your message as the point of focus. The “beef” of your marketing copy can get diluted when there is too much text on a web page. This is why you should only include content on your web pages that is required to share your story and push your benefits. Reducing the amount of content on each page and focusing on your benefits, you will be able to align your company with the needs of your audience. Using a conversational tone will help you develop a relationship with your customers that will make them more likely to purchase from you. Keeping your landing page simple and free of additional copy will ensure your readers focus on the important elements of your page and move persuade them toward the desired action. Once you can put all the pieces together, your landing pages will be a conversion machine! Contact me today if you are ready to drive more qualified traffic and increase conversions!